Davy Morrison in action today (30th Oct) on Loch Eck …. nae fish but he’s oot there ! 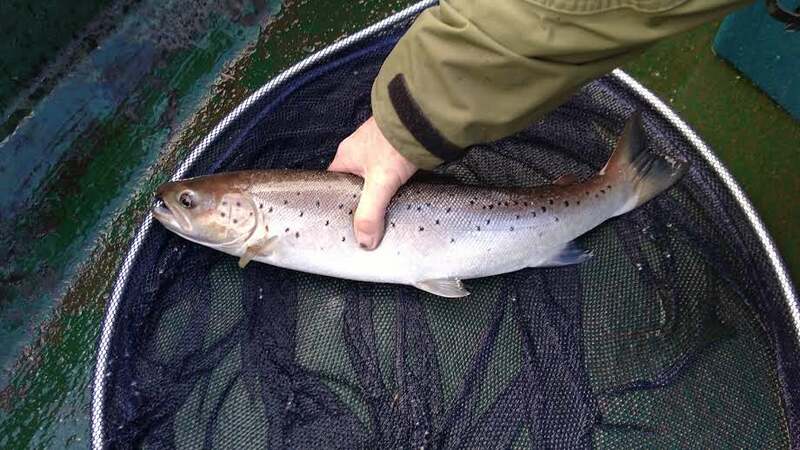 And the Sea Trout keep coming ! 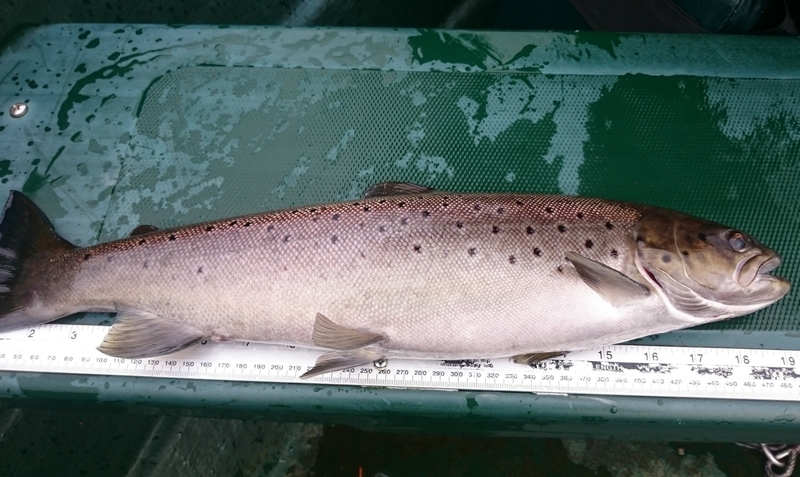 Yet another excellent result from Loch Eck by Bill Rankin who was fishing on Friday and landed this magnificent sea trout which weighed in at 5lb, which was returned to fight another day. 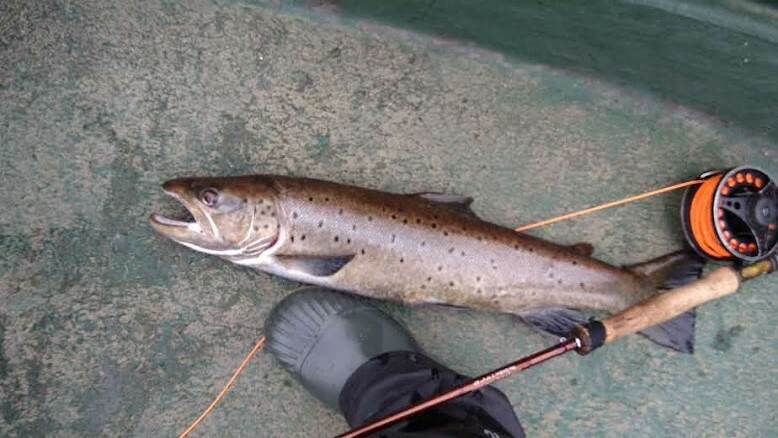 Bill Rankin and Allan Miller had a quality day on Loch Eck yesterday, Bill took five Sea-trout the biggest pictured here at 3.5lbs, and Allan landed a cracking sea trout at 5lb, top fish Allan’s bottom two Bill’s … All fish safely returned to the loch ! … Well done guys. The Loch Eck Competition starts this Saturday 7th and finishes Saturday 14th. 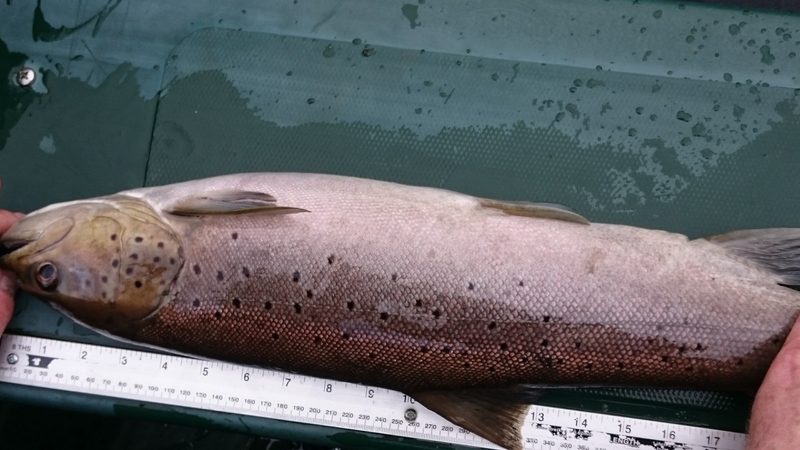 Remember all salmon must be measured and/or photographed if possible and quickly returned to the water. No Sunday fishing ! Book your boat and day at Campbell’s paint shop. Tight Lines. 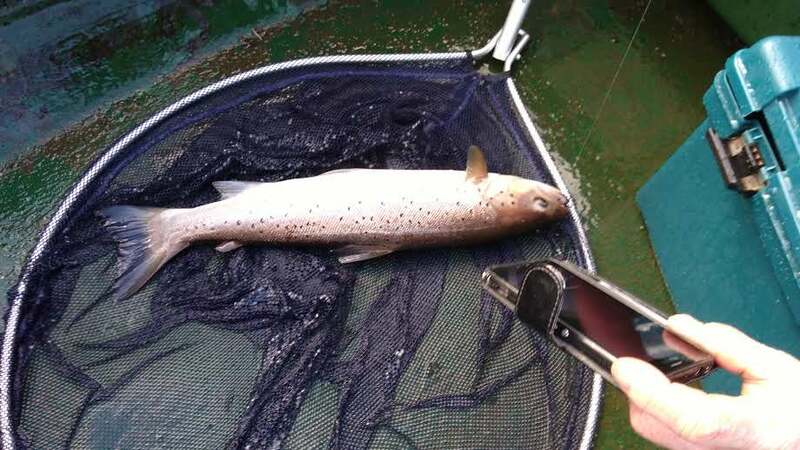 The last sea-trout caught on Loch Eck for 2016 was around the 2lb 4oz mark and safely returned after a quick photo, the lucky angler says there are plenty more left in the loch for next season.